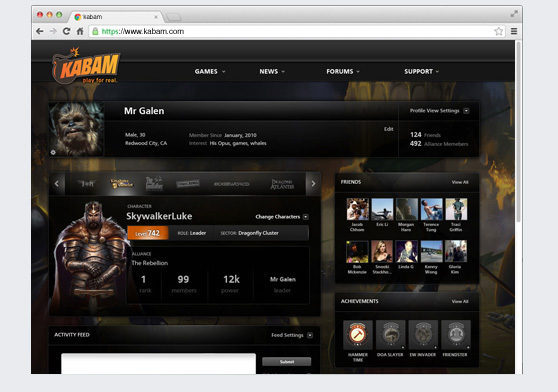 Kabam is one of the industry leaders in social gaming. As the Senior Visual Designer for the Kabam.com, I have helped establish a gaming platform for millions of users to play, communicate, and interact. Alliances is a core feature that encourages user collaboration within Kabam.com. The feature is a key driver to community creation by fostering user interactions in a closed forum for players within same game alliiance. User Profile is the home and personal space for a Kabam.com user. 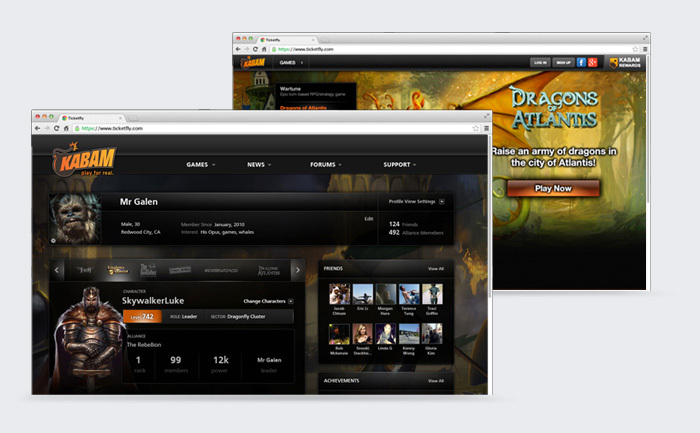 For a personal experience, the design is themed to the user's gaming preference. 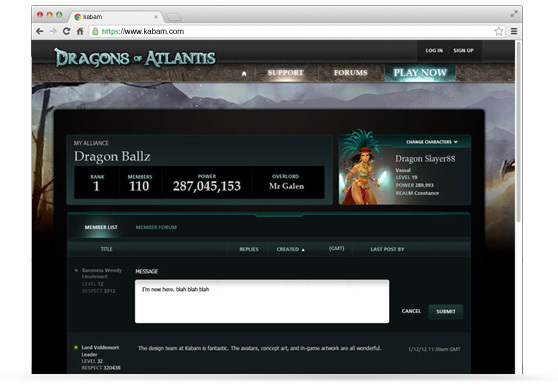 It is also the destination for users to manage their gaming activities, friendships, and achievements. George is an exceptionally talented designer with a sharp eye for detail, strong understanding of product branding and an amazing ability to quickly find the right visual solution for any project. He has a strategic and thoughtful approach to his work, knowing the right questions to ask to ensure projects go smoothly, and he always finds the best way to execute given the time available. George is an incredibly driven and passionate designer, and is consistently pushing his skill sets and searching for new ways to expand and grow his knowledge of design, UX and front end code. His easy going personality and good communication skills make collaboration and iteration on designs an enjoyable experience, and his feedback and insight help drive projects to the best possible visual solutions. He has been an invaluable member to our design team and a critical contributor to the successes on Kabam.com. I cannot recommend George highly enough.